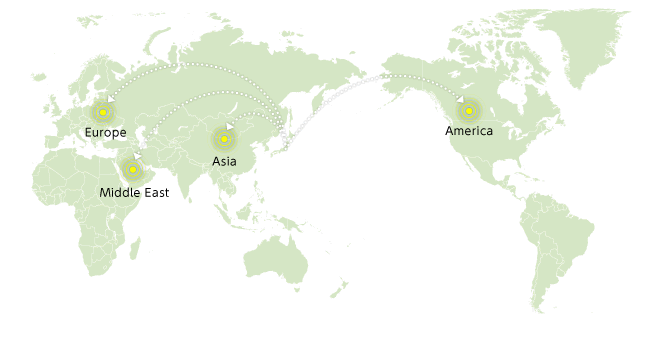 We deliver packages to overseas customers with extraordinary speed. 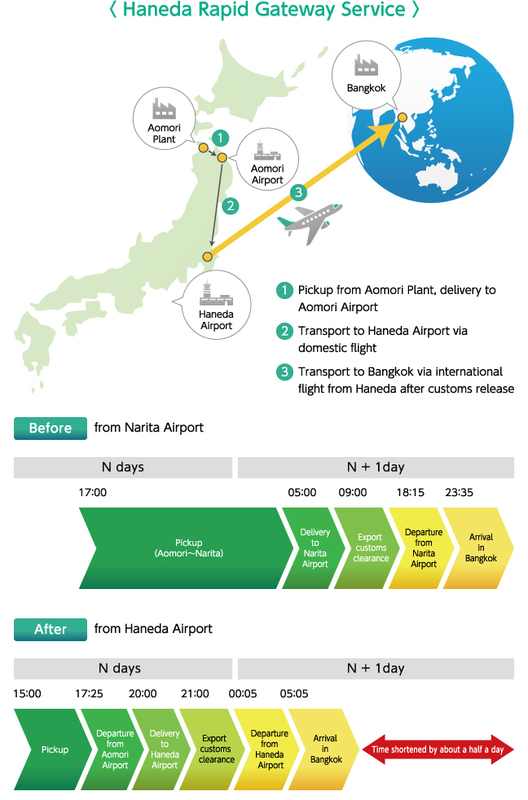 Leveraging the 24-hour operations of Haneda Airport and the Yamato Group's Haneda base, we provide support to customers that wish to get their products delivered overseas as quickly as possible. ● It's difficult to get packages to the airport in time for same-day flights.Orders aren't finalized until the last minute, so production schedules can't keep up with pickup deadlines. ● We would like to shorten our lead times in order to meet flight departure times. ● Pickup, customs clearance, and arranging things at the destination are complicated, as they involve contacting all sorts of people. The lead time to destination is substantially reduced using midnight/early morning flights from Haneda Airport. We will shortcut domestic lead times at a reasonable price through full utilization of the Yamato Group network, leveraging domestic flights and other options in addition to trucks. ※There are several areas of which we cannot provide this service. We coordinate and make arrangements via a single contact point within the Yamato Group for everything from domestic pickup to overseas delivery. ■Objective cargo: Cargo,not required screening or inspection on other laws and regulation than customs. We can also handle other areas and weights. Please ask us for further details!